Since Justice Anthony Kennedy announced his plans to retire, analysis of the potential effects of his retirement has mostly focused on areas of the law in which he provided the swing vote for a more liberal result – for example, abortion or gay rights. On those issues, Kennedy’s replacement with a more conservative justice could shift the law to the right. But Kennedy sided with his more conservative colleagues in finding a Second Amendment right to have a handgun in the home, and there is no reason to believe that Judge Brett Kavanaugh, if confirmed, is likely to disagree. A more significant question is whether a Supreme Court that included Kavanaugh might take a more expansive view of the Second Amendment and strike down some existing gun laws. Kavanaugh’s track record suggests that he might be willing to do so for at least some gun laws, although he does not regard the Second Amendment as creating an absolute right to have or carry a gun. It’s not clear, though, what effect Kavanaugh’s views would have on the court: The answer may hinge on the votes of his colleagues, and in particular Chief Justice John Roberts and Justice Samuel Alito. The Second Amendment to the Constitution provides that “the right of the people to keep and bear Arms, shall not be infringed.” In 2008, in District of Columbia v. Heller, a divided Supreme Court struck down a D.C. law that generally banned the possession of handguns in the home, ruling that the law violated the Second Amendment. Two years later, in McDonald v. City of Chicago, the court (again, divided) invalidated a Chicago law similar to Washington’s, making clear that the Second Amendment also applies to the states. Since then, the justices have been asked several times to overturn lower-court decisions upholding state gun laws that challengers say violate the Second Amendment, but they have repeatedly declined to step in. Even more recently, Thomas dissented from the court’s announcement that it would not review a challenge to California’s 10-day waiting period for gun purchases. The U.S. Court of Appeals for the 9th Circuit rejected a challenge by two California men, who had argued that the waiting period was unconstitutional for, at the very least, state residents who already own a gun or have a license to carry a concealed weapon. 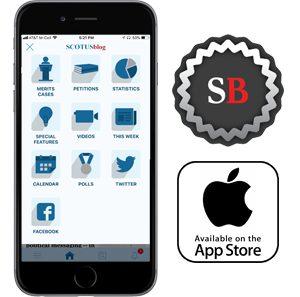 When the Supreme Court rejected the men’s petition in February 2018, Thomas was sharply critical of both the 9th Circuit’s ruling and the Supreme Court’s disposition of the case. 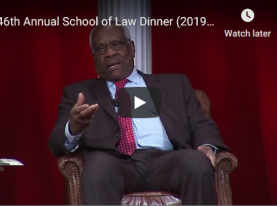 He argued that the lower courts had generally failed to give the Second Amendment “the respect due an enumerated constitutional right.” “If a lower court had treated another right so cavalierly,” Thomas continued, “I have little doubt that this Court would intervene. But as evidenced by our continued inaction in this area, the Second Amendment is a disfavored right in this Court,” and the justices’ “continued refusal to hear Second Amendment cases only enables” the double standard that the lower courts apply to gun-rights cases. Whatever Kavanaugh’s position is likely to be on different efforts to regulate guns, he would, if confirmed, be only one of nine justices on the court. We know from his recorded dissents from the denial of review that Thomas would vote to review and overturn some existing gun laws, and we know that Gorsuch – at least to some extent – agrees with him. But it takes four votes to grant review in a case, and we do not know whether Roberts and Alito also agree with Thomas but have opted not to say so publicly, or whether they instead are content to leave the court’s gun-rights jurisprudence as it is. We could know more about the future of gun rights relatively soon, as various challenges to gun laws make their way toward the Supreme Court. Indeed, just this week, the 9th Circuit struck down Hawaii’s ban on carrying weapons openly outside of the home; even if the case goes to the full 9th Circuit, the losing party is almost certain to ask the Supreme Court to weigh in.